Comparative medicine is the study of disease in humans and animals, looking at similarities and differences between the two. Through these types of studies, researchers can find ways to better diagnose, prevent and treat disease in all species. 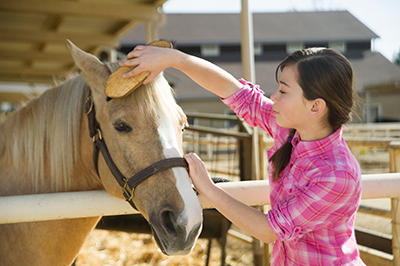 How Does Comparative Medicine Change Lives? Comparative Medicine makes medical research more efficient and effective. It optimizes surgical techniques. It generates new devices, biomaterials and procedures for health professionals. It can lead to, even accelerate, preliminary human clinical trials for novel drugs and therapies. It improves quality of life and increases lifespans. It increases our understanding of disease more comprehensively, so we can continue to advance treatments for all. 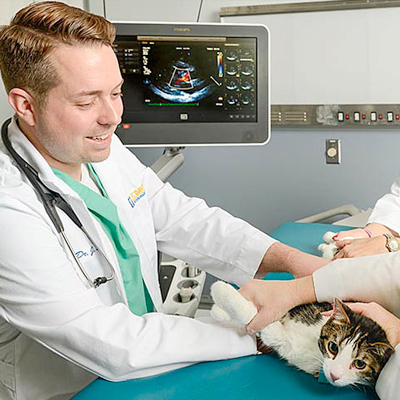 A new drug that targets the heart disease hypertrophic cardiomyopathy shows promise for mitigating morbidity and mortality in cats and humans. 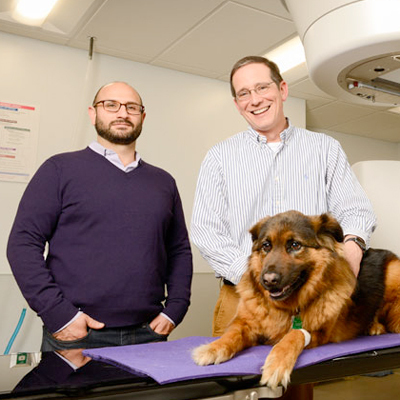 UC Davis physicians and veterinarians are working together to tackle cancer in dogs and humans. A novel stem cell therapy to treat feline chronic gingivostomastitis (FCGS) could lead to solutions for chronic oral inflammatory disease in humans. How Did Comparative Medicine Develop? For years, we’ve been learning about our own responses to disease by studying how other animals respond. For example, mice and non-human primates provide useful biological models that lead to breakthroughs in knowledge. Yet a paradigm shift began in 1929 when Nobel laureate Arthur Krogh proposed, in a paper published in Science, that scientists look at diseases that occur naturally in animals, not just those diseases induced in laboratory experiments. 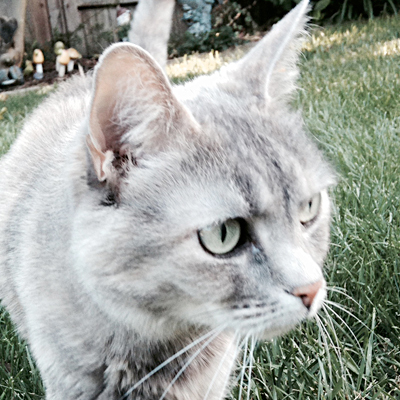 We now know that companion animals also provide great comparisons for understanding disease. In 2003, the United States National Institutes of Health created its Comparative Oncology Program to focus on examining and treating cancers common to both dogs, in large part, and people. The American Veterinary Medical Association supports the NIH’s approach. At UC Davis, the Center for Comparative Medicine and Comparative Cancer Center are two units already demonstrating the benefits of bringing together the School of Veterinary Medicine and School of Medicine for disease research and health solutions. Integrating more diseases, more species, more collaborators, and more robust methods into medical research have made comparative medicine a leading way to innovate and create positive impact in our daily lives. Why Does Comparative Medicine Study Companion Animals? Like humans, cats and dogs exhibit genetic variability, eat diverse diets, have varying personal habits and live in a wide range of environments — all of which play a role in various disease processes. What Diseases Does Comparative Medicine Study?